Via our global partnership network and carefully chosen, trusted haulers your cargo can safely reach any part of the world! Our team can provide door-to-door services with custom clearance . A full container load (FCL) is a freight transported in a single sealed and rigid, reusable box in which the merchandise is shipped by a ship. All containers are durable enough to withstand, without breaking, all stresses that may be applied in a normal process of continuous transportation. 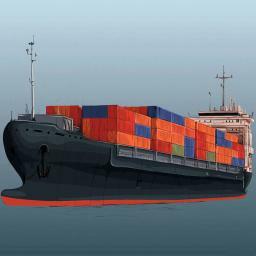 Shipping full containers can be helpful in lowering costs while shipping multiple goods. With smaller amount of merchandise we can combine multiple shipments (LCL) that are going to the same destination port, thus providing you with reduced freight costs. Upon reaching, we carefully de-consolidate your cargo and deliver to the final destination. A less than container load (LCL) shipment is a freight which does not fill a container and is shipped with cargo for more than one consignee or from more than one shipper. LCL freight costs are based on a euro amount per cubic meter. A wide combination of transportation is avialable for Logisticentrum clients. Multi-Modal Transportation also known as combined transportation is a delivery of your cargo door to door. Your goods will be delivered by ocean freight to seaport, then if needed with trucks to rail hub, or directly to unloading location according to your requirements. Different types of transport let us build adjustable and cost saving shipping routes and to deliver your goods not only to seaport of destination.